Two years ago, the Mayor of Tirana launched a CNVR program. It seemed a good program: it envisaged the catching, registration, vaccination, sterilization, tagging and release of stray dogs into their territory. Five veterinarians were and still are entrusted with the treatment of stray dogs. However, this is only paper: fact is, dogs are killed. People witness that stray dogs are caught and never come back. The same is happening with already treated and tagged dogs. 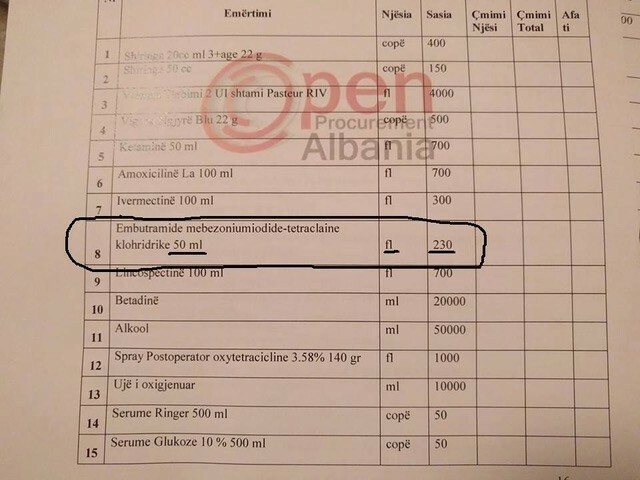 Animal rights organizations in Albania have recently discovered that the Consumer Department bought T61- more exactly, an amount enough to kill 3,300 dogs. Actually, they just got confirmation of what they had feared for a very long time. T61 is a euthanizing agent that contains a curare-like paralyzing drug. Its use is enormously cruel and highly controversial. The concern is that if T-61’s paralyzing ingredient took effect before the tranquilizing component, it would paralyze an animal’s breathing before the sedative component kicked in. This could cause extreme distress to the animal – conscious but paralyzed and unable to breathe. Yet almost without exception, the use of neuromuscular blocking agents in animal euthanasia is considered unethical. The vast majority of animal euthanasia is carried out by means of sodium pentobarbital, and there is strong consensus among humane organizations and veterinary groups that this is the single most humane euthanasia method. This picture is the proof of stray dogs’ bitter fate. 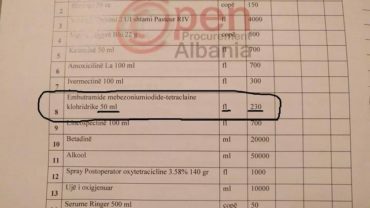 It contains part of the list of medicines that the Consumer department signed after the tender. Look at number eight: 230 vials of 50 ml. The quantity needed to put a dog down is JUST 5 ML. It means that the mayor and his thugs came up with a plan to kill 2,300/2,500 dogs per year. This is the clinic where stray dogs are supposed to be neutered. The number of stray dogs in Tirana has actually reduced. But that had nothing to do with the supposed CNVR campaign, but because of a murderous and criminal campaign. The practice of killing stray dogs is inhumane. Moreover, it does not constitute a lasting solution. No sterilization means that the dog population will increase again and again. This is a short-sighted policy because it costs the state without end and most important, because it causes the death of countless innocent lives. The only humane solution is CNVR. Actions targeted to assure a responsible dog ownership, that include the registration of dog owners and the microchipping and tagging of dogs, and the punishment of citizens that do not obey to these rules and that dump dogs. Hermiona Hajdini, chief veterinary officer of the clinic of Kombinat, a suburb of Tirana. 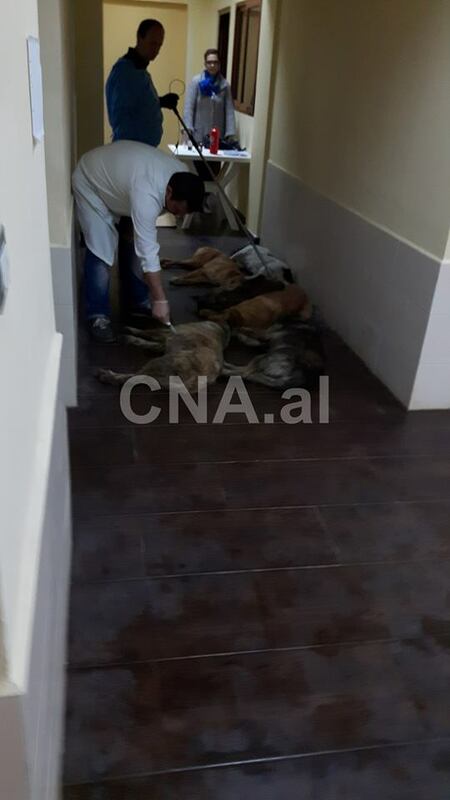 Rudina Hoxha, Director of the consumer department and the veterinary staff where the dogs are being murdered. All of them are guilty of this mass killing of stray dogs. They don’t have neutered the dogs, nor treated them and released them in remote areas outside of Tirana. 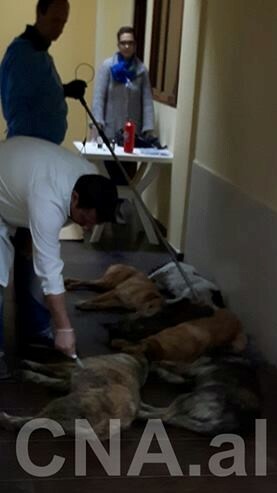 Erion Veliaj, Rudina Hoxha, Hermiona Hajdini and their staff of veterinarians are killing innocent animals, taking them from citizens that looked after them every day. 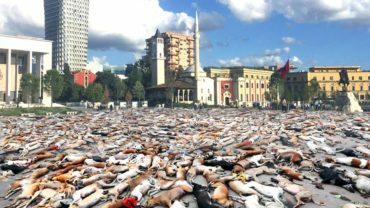 I am upset learning about the mass killings of stray dogs in the streets of Tirana. I ask you to respect the European Convention for the Protection of Pet Animals, ratified by your Country, which decides that when the numbers of stray animals is a problem, the country must act appropriately in a way that does not cause pain and suffering to animals. Please launch immediately a catch-neuter-release campaign for stray dogs and show that the city of Tirana respects animals. Iam upset learning about the mass killings of stray dogs in the streets of Tirana. I ask you to respect the European Convention for the Protection of Pet Animals, ratified by your country, which decides that when the number of stray animals is a problem, the country must act appropriately in a way that does not cause pain and suffering to animals. 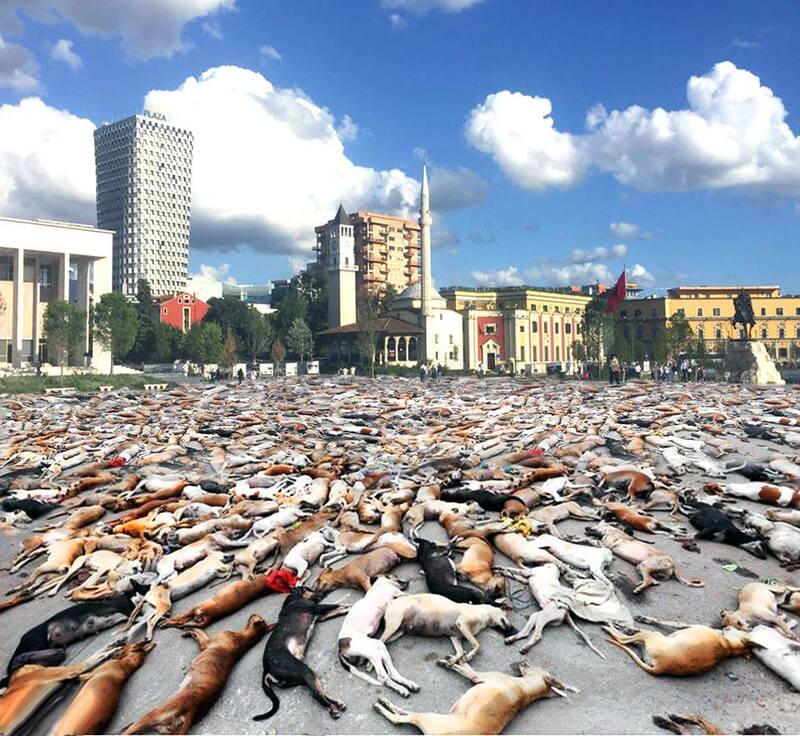 Please launch immediately a REAL dog population control program and show that the city of Tirana respects animals. Dumping dogs is a cruel crime that needs to be severely punished and you must assure it. Your country is stuck in the Dark Ages. You are putting your city and your country to shame in front of the world. Personally, I will not visit Albania, and I will ask all my acquaintances to do the same, until this situation will be solved. 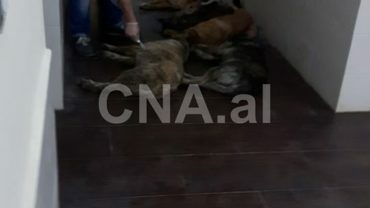 Sign OIPA Petition and stop mass killing of dogs in Tirana! The petition will be sent to the Mayor of Tirana Erion Veliaj.